Lab One Foundation A/C. 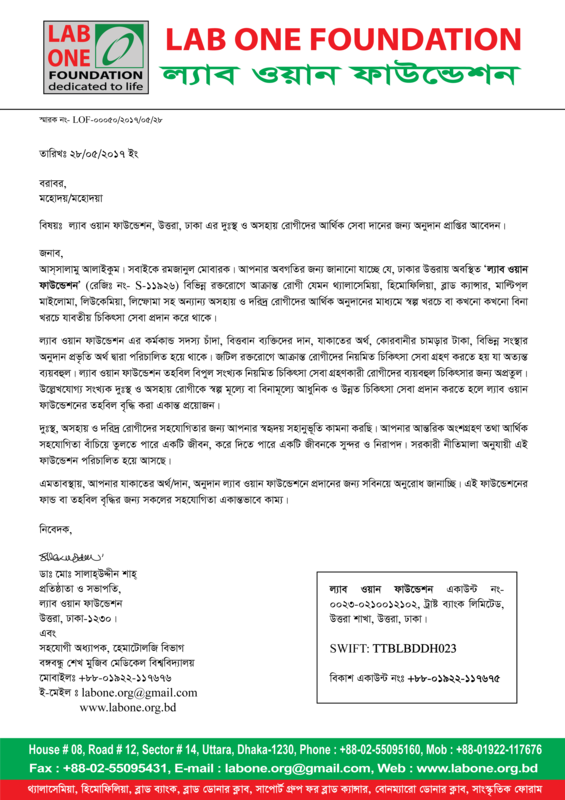 No.- 0023-0210012102 Trust Bank Limited, Uttara Branch, Uttara, Dhaka, Bangladesh. You can donate directly to our bank account, Bikash number or direct submission at our hospital premises. After donation please fill up this form for further inquiry.